Variety of graphics, shapes and fonts to jazz up your lables. Easy printing out of labels. Labels play a key role in making the products directly linked up with a particular brand. It�s also a unique way to make an article or product identifiable, because the packaging often covers the products, entirely. Not just this, the tags help to highlight different properties, such as name, contact information, constituents, etc. Here, we are going to discuss the art of making stickers with the help of label design software. You can employ the software offered by us, for implementing your creativity and artistic skills. 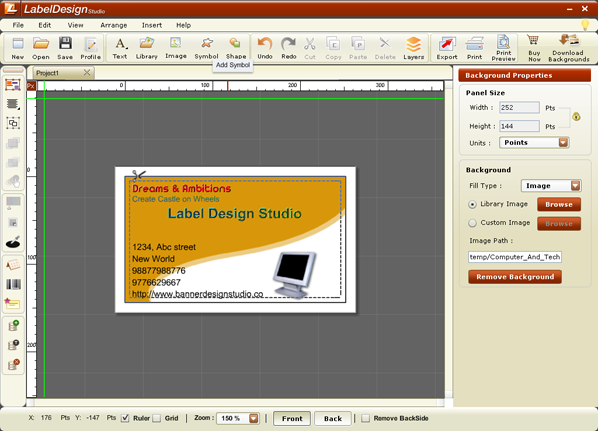 The pre- engineered templates help you to create a label design with different layout options. Step 1: You will come to know the tips of the day. These tips help you to understand the ways to add text, re-size the shapes or images, crop images, and perform some other actions. Step 2: Seek the help of ready-made templates. It is easier to add your imaginative ideas to extract the best out of this software. Step 3: Start using the template: You can simply use the pre-designed background and write text in the required fields. 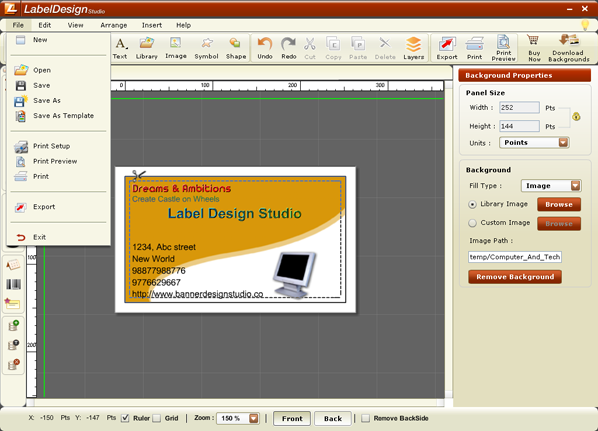 You can choose from the different categories of templates, and select a background, accordingly. 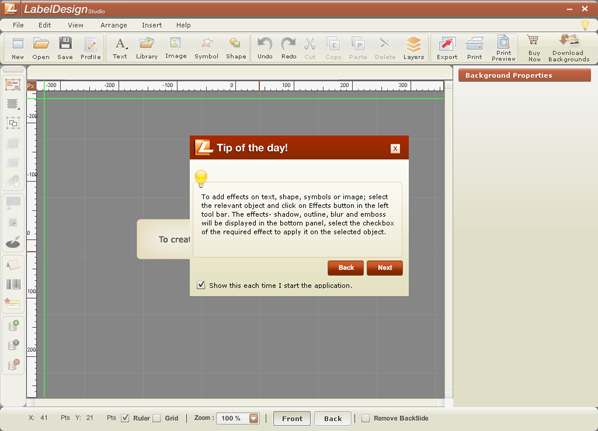 Step 4: It is possible to make use of the software toolbar to perform various actions such as, grouping the elements, sending any element in backspace or bring it forward. You can add effects like drop shadow, blur, outline and emboss to the written text. 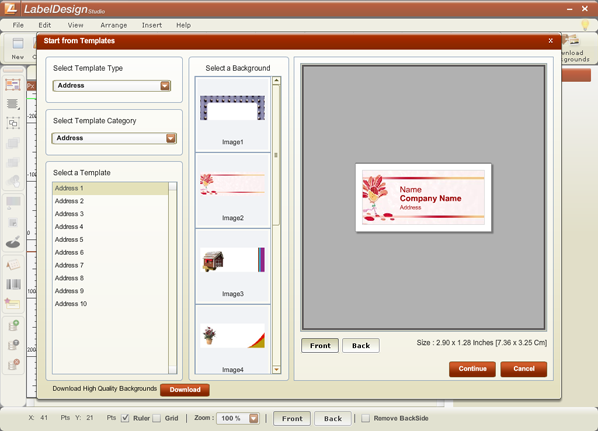 You can also add image from the software library or import an image from your computer. Step 5: You can add symbol or shapes, manage the different layers and add colors to your design, as are responsible for making labels that can catch the eyes of audiences. 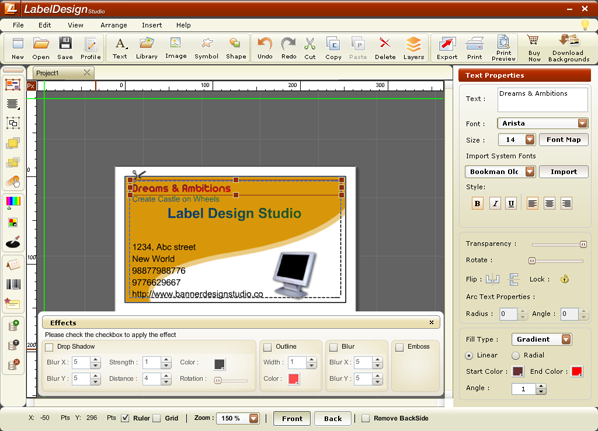 Step 6: It is easy to save the design, see the print preview or provide a command to print the label directly. 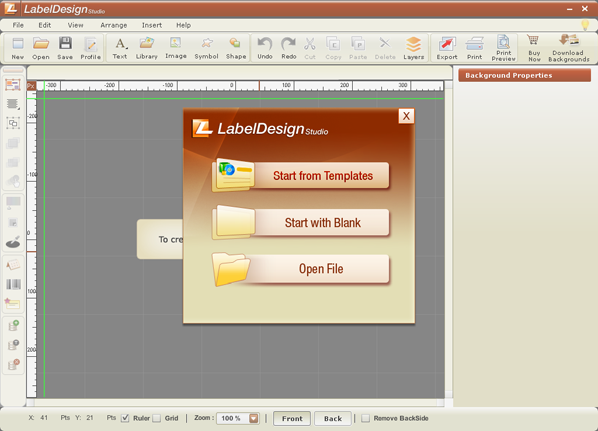 Now, you must have got a general idea about the easier way of making labels with the help of pre-engineered templates. Making a practical attempt will be even more interesting.